Born in India in 1928, Shemza attended art school in Lahore, Pakistan, and was soon recognised as a leading artist and literary figure. He then moved to London in the mid 1950s to study at the Slade School of Fine Art, where his art underwent a fundamental transformation. His subsequent work in painting, drawing and printmaking rigorously deploys geometric and calligraphic forms to engage with dilemmas of identity, culture and place in the modern and contemporary era. 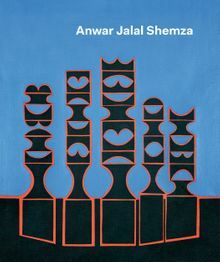 Accompanying over 130 illustrations of works and rare archival material, a text by Iftikhar Dadi provides an overview of his career alongside essays by Shezad Dawood, Rachel Garfield, Courtney J Martin and Hammad Nasar that offer perspectives on his work, contemporary reception and influence on a younger generation. Clth, 9.63 x 11.25 in. / 224 pgs / 132 color.